The Golden Door is the first book in a trilogy by Emily Rodda, which tells the story of a small town called Weld, terrorised by savage winged beasts that prey on the Weld’s townsfolk each night. Dirk,the youngest of three brothers, is left to avenge his older siblings after they volunteer to leave the safe walls of Weld, to find the one responsible for sending the beasts which attack their town and the people who live there. 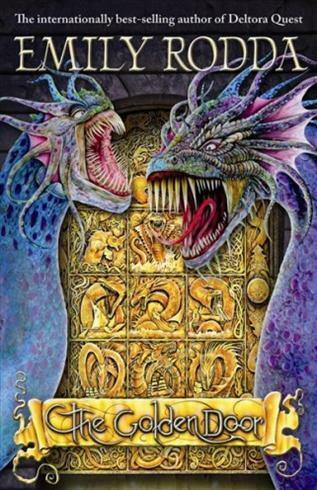 With plenty of excitement, magic and mythical creatures made even more awesome by the readers imagination, this story will reel you in and leave you anxiously turning each page, to find out what’s going to happen next in the adventure. What makes this story so enchanting, is the main character acts solely on his strong desire to protect his family, against all odds. How far would you go to help the ones you love?